This enlightening auto-ethnography examines how social class (and other social institutions and structures) affect how people grow up. 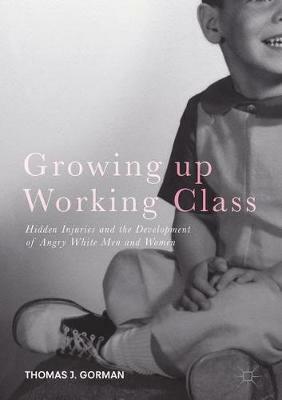 Primarily, the book investigates how American children and young adults are impacted by the "hidden injuries" of class, and offers a rich description of how these injuries manifest and curdle later in life. Thomas J. Gorman provides sociological explanations for the phenomenon of the so-called "angry white man," and engages with this phenomenon as it relates to the rise of recent populist political figures such as Donald J. Trump. He also examines how and why white working class people tend to lash out at the wrong social forces and support political action that works against their own interests. Finally, the book demonstrates the connections between working-class attitudes toward schooling, sports, politics, and economics.